I don't think over-packing for an outing or fretting over my baby's routine makes me silly or lame or pathetic, the way moms of two or more tend to not-so-subtly imply. Several months ago, while picking up my then-infant son from child care, I exchanged pleasantries with a mother-of-two doing the same. All was well until she caught sight of my massive diaper bag. I felt my cheeks flush as she eyed up the three extra burp cloths stuffed into the side pockets, the four teething rings hooked onto the handle, the bulging zipper about to bust open. Her exaggerated eye-roll came as no surprise. "Let me guess, first-time mom?" She held up her own bag, which was no larger than my wallet. How did she fit even a single diaper in there? I wondered. Was she some kind of expert in diaper origami? It wasn't the first time I've been criticized for my overstuffed bag or similar first-time mom transgressions. I've been teased for snapping too many photos of my son and for worrying too much about his nap schedule. Moms of multiple children have snickered over my kid's matching outfits and shiny new toys. Every taunt is accompanied by a reminder that my current way of life -- which includes enough time to analyze every detail of my baby's existence, plus enough energy to care -- is a luxury that will end as soon as I've got another bun in the oven. "Just you wait until another one comes along!" I already know that with child number two I'll be too rushed to read car seat manuals cover-to-cover or document every milestone in the baby book. I'm fully aware that life will be significantly more exhausting, not to mention messier. But does the fact that two is tougher really negate the challenges of having just one? I don't think over-packing for an outing or fretting over my baby's routine makes me silly or lame or pathetic, the way moms of two or more tend to not-so-subtly imply. No, it just makes me new. Mothering represents uncharted waters for me, and I'm figuring out as I go along what is and is not worth worrying about. Does it matter that my baby skipped a feeding today? Does his runny nose warrant a call to the pediatrician? A part of me wonders if life with two children might actually be easier, solely in the sense that I will already know the answers to my many questions. All the condescension thrown at first-time moms is just another example of how we women tend to divide instead of unite. It's how "the mommy wars" came to be a household phrase, fueling the rivalry between stay-at-home and career moms. It's how the breast- versus bottle-feeding debate turned downright ugly. Now we're also competing to see who's more sleep-deprived, moms with one or moms with more than one. We're keeping a tally of who's gone the longest without a shower and whose kids have more dirt caked behind their ears, as if that's some kind of badge of honor. When are we moms going to realize that constantly condemning and ridiculing each other isn't getting us anywhere? What's it going to take for us to see that if we instead started supporting one another, we could then direct our collective criticism where it belongs -- at our country's dismal family leave policies, its lack of affordable and high-quality child care, and the inequitable wage gaps between not only men and women but also mothers and non-mothers? Had that mom at child care not scoffed at my diaper bag, maybe I could have asked her how she folds her diapers so small. Maybe she could have shared her secrets for ditching all the baby stuff I'm constantly carting around, and in turn I could have gushed about the amazing new brand of wipes I discovered last week. Maybe we could have become friends, simply as fellow moms instead of a mom-of-one versus a mom-of-two. But instead I just turned and walked away, the overloaded strap of my diaper bag digging into my shoulder as I went. 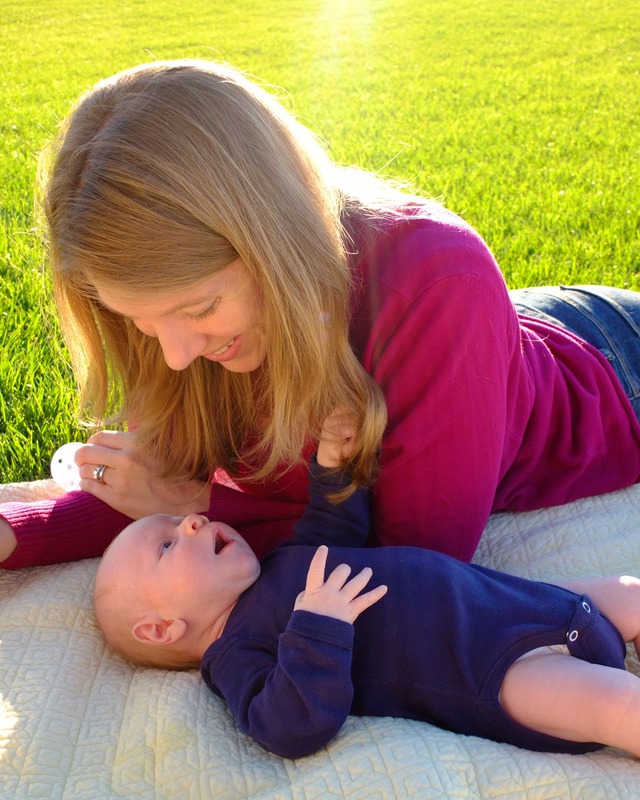 Katie Markey McLaughlin, M.S., is a freelance journalist and grant writer, plus mom to a very energetic toddler. This post originally appeared on her blog, Pick Any Two.